I don't mean to inundate you with book recommendations but I have a lot to catch up on. Anyway, what's better than starting Fall cozily with a big pile of to-reads? I thought so. My favorite book that I've read (listened to on Audible) this year is The Boys in the Boat by Daniel James Brown. It's about collegiate competitive rowing. You're thinking, how can a book about rowing be compelling? It's masterfully done and I gave this book 5 stars. Learning the background of the boys in the boat makes you love and root for them, especially considering most of the competition in rowing is rich frat boys from the Ivy League. 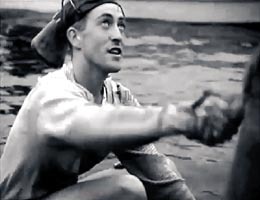 The University of Washington trained a scrappy team of lumberjacks and miners who made their way to the 1936 Olympics in Berlin — the Olympics with Jesse Owens and Adolf Hitler. When they were set to travel, coxswain Bobby Moch (spoiler alert) received a very serious letter from his dad telling him he had a secret to finally share with him: He was Jewish. I mean, can you imagine this time in history? Leading up to WW II the triumph of these boys in the boat is wonderful and feels important. You'll root for them too. It's such a great book and you can give it to everyone for Christmas. Dads, especially, will love it. Look at Bobby Moch. What a guy. The Americans wore their old sweatshirts for the race because they didn't want to get their new Olympic uniforms muddy. I have a theory that they didn't want to give up their new jerseys if they lost (that was the tradition). Either way, the emotional appeal of the scruffy underdogs beating some nazis is pretty powerful. Speaking of underdogs, another one one of my favorite books lately is David and Goliath: Underdogs, Misfits, and the Art of Battling Giants by Malcolm Gladwell. This is a great little book about how the quality that makes someone an underdog can actually be a strength. David was quick and better at fighting than the loping-probably-partially-blind Goliath. Kids with dyslexia or some other disadvantage can fail, but when they do succeed they do better than people who have an easier time in school. Malcolm Gladwell is always interesting and this is no exception. It's pretty inspiring too if you need a pep talk on turning your weaknesses into strengths. The end of the book made me cry. I loved this book and you should read it. I read Donna Tartt's The Goldfinch last year and it stuck with me in a troubling way for a long time. I can't say that I whole-heartedly recommend this book. The worldview presented in this story is much bleaker than my own. It seems to be saying that life is ugly and horrible so we need art. I tend to believe that life can be ugly and horrible but that it can also be beautiful and that art is something that inspires us and helps us to see that beauty. This book is amazing and awful. It's sad and has some long R-rated stretches, as many coming-of-age stories about teenage boys often do. (Ew.) I could not stop thinking about the main character, Theo, for days after I read it. The story is centered around this painting, which is real. A bomb goes off in a museum and Theo, as a child, saves the painting. Then he has it for years while everyone else (including the art curator who becomes his guardian) thinks it was stolen. If you've read this and you are having PTSD as a result, we can talk about it here. The Migraine Brain by Carolyn Bernstein and Elaine McArdle is a must-have for my fellow migrainuers. (I know there are a lot of you.) Exhaustive, informative, and useful, this book will help you figure out what's going on and what do do when you get a migraine. Having a plan in place and friends who understand reduces the anxiety and fear of getting a migraine and will probably actually help you get fewer migraines. This book is really helpful. Yes, your description of The Goldfinch is exactly how I felt about it! I liked it and didn't like it all at the same time. Definitely not one that I would read again, but I did think about it for ages afterward. Yes, it's a troubling read. 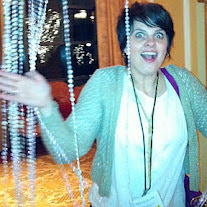 Hi Kacy, I hardly ever comment, and this is the first time I've done it on your blog (welcome back, you were missed). 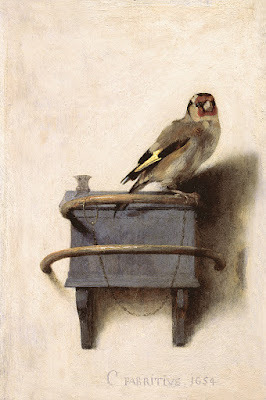 I read The Goldfinch and really liked it, even the parts that are not likeable. The parts where the kids did all the drugs bugged me. But, the rest of the story sucked me in and the characters were so well developed. I even liked the yappy little dog. Thanks for the other suggestions. The story about the rowers sounds like my cup of tea! Thanks for commenting, Janet. Yes. I was totally sucked into The Goldfinch. I loved it but it was rough. It's very heartbreaking in some ways. I love Hobie. I have been looking for a new audio book. Boys on a Boat it is!! I really liked David and Goliath. It really makes you think, just like Gladwell always does. Yes, he's one of my favorites.